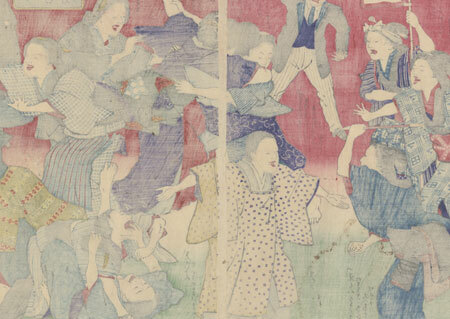 Comments - Unusual scene of women fighting as a horrified man in Western dress looks on from upper left. 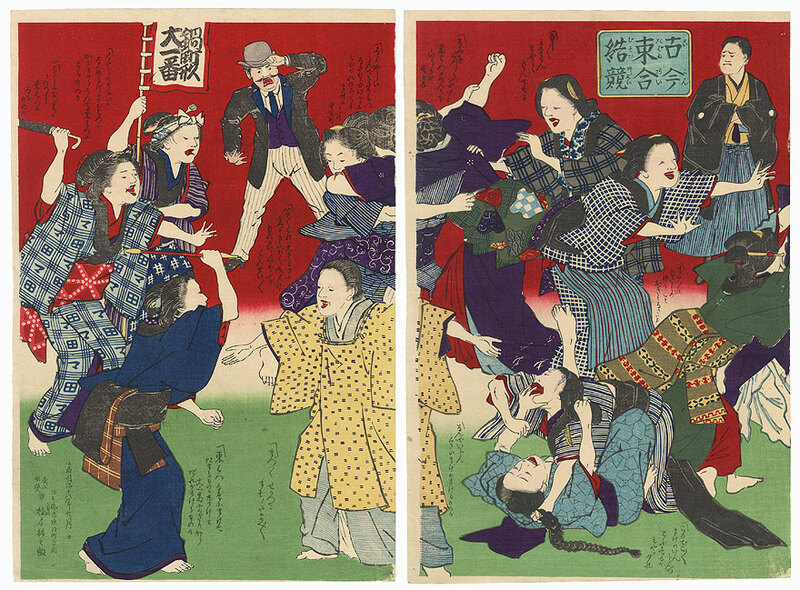 At lower right, two women sprawl on the ground, each grabbing the other's hair, the one on her back bushing her attacker's chin away with her other hand. At left a woman using a pipe as a women rushes towards an older woman with her arms spread wide, while another beauty at upper lifts her umbrella above her head to strike. 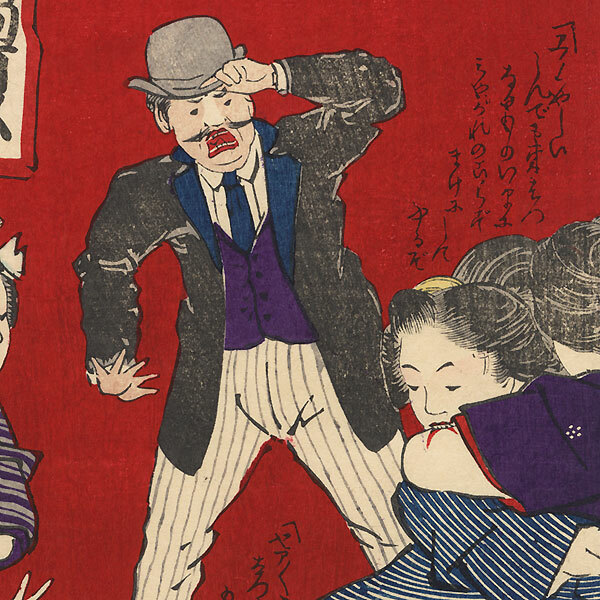 At upper right, a fellow in traditional dress frowns worriedly as he watches the melee. A strange and amusing subject, with small blocks of text between the figures. Condition - This print with excellent color and detail as shown. Two separate panels. A few spots. Please see photos for details. Good overall.